Typically I like to interview my Couples (that’s if they are not too shy! ) about how they met, their hobbies and their jobs and what’s not. 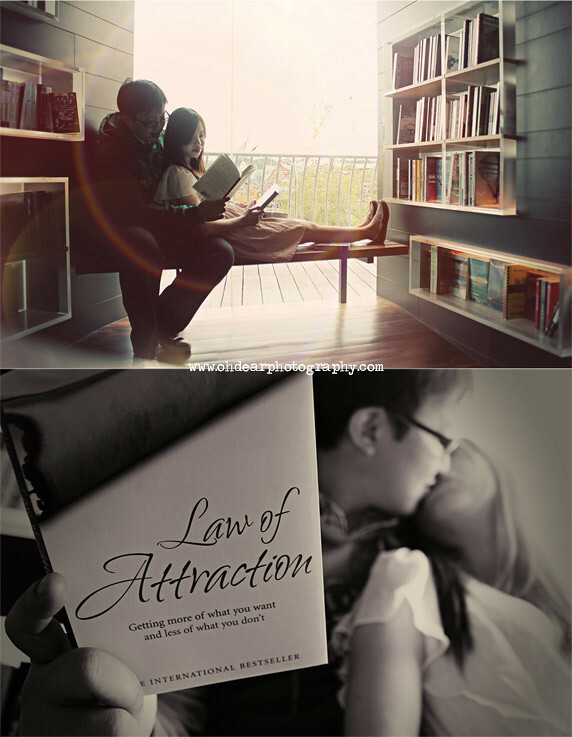 I always love a good love story and also these helps me to know more about them and personalize their shoot. 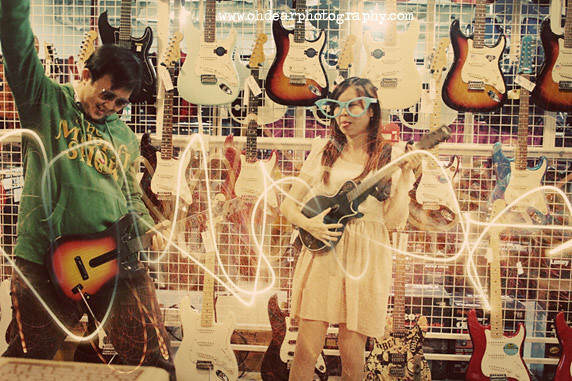 So when I asked Peter and Bingling to tell me about themselves, they told me about their love for StarWars, for Guitar Hero, how they met and fell in love. So what better way to bring out Guitar Hero (it’s a game by the way, I didn’t know until I meet them! 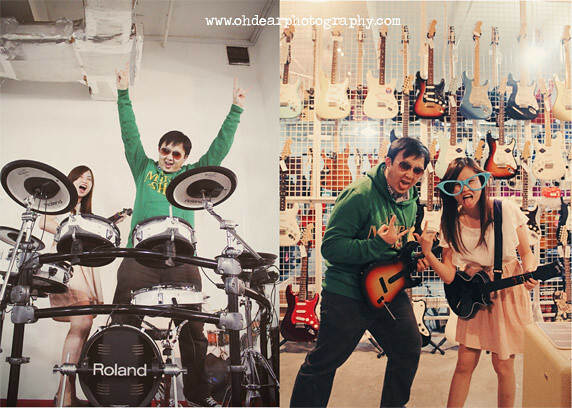 Haha) then to go to a actual Guitar Shop itself and ROCK IT OUT!! 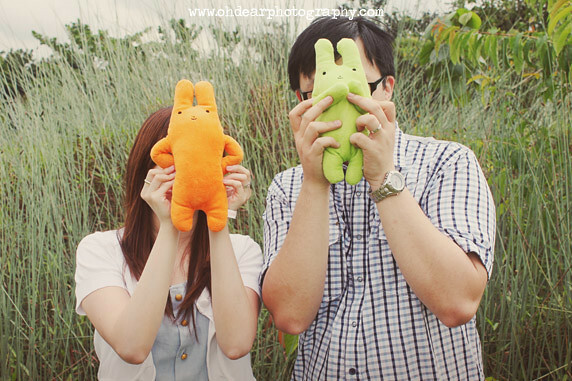 Hope you guys like the photos and may Peter&Bingling have a blissful marriage!! This entry was posted on November 10, 2010 by ohdearphotography. It was filed under Engagements .